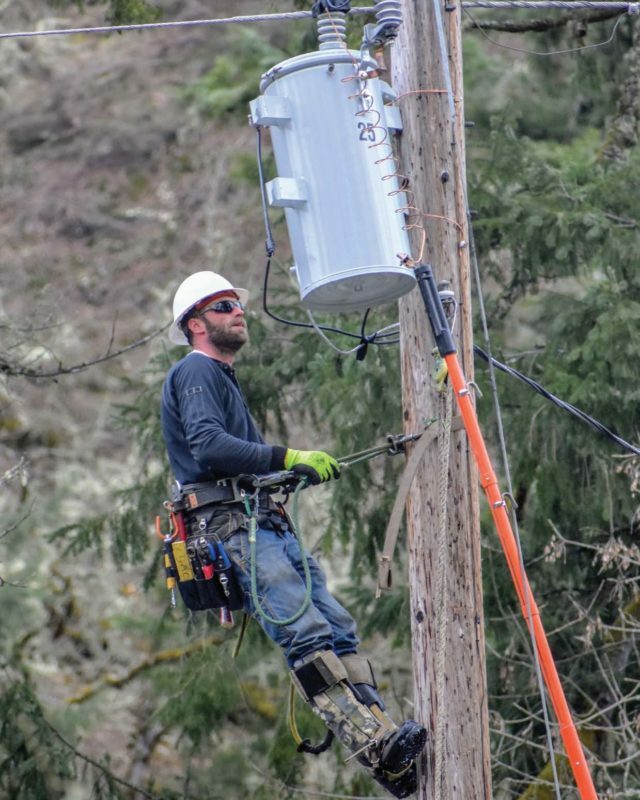 In late February, a weekend snowstorm walloped Douglas and Lane counties, nearly leveling the infrastructure of two electric cooperatives that serve those areas. The significant accumulation of wet, heavy snow snapped giant Douglas fir trees like matchsticks, leaving a snarl of power lines across roads that were largely inaccessible. Lane Electric reported widespread outages, with more than 8,000 members without power as trees continued to topple to the ground, cutting off access to Highway 58—a crucial route of transportation for many members, including those who live in Oakridge. The Bonneville Power Administration—whose high-voltage lines help power the system—also experienced significant destruction to its system. What followed for both Douglas Electric and Lane Electric was the best of the cooperative spirit. 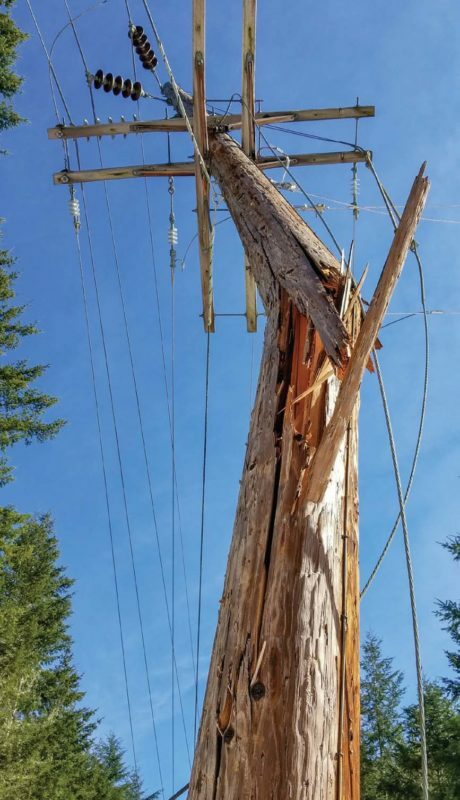 Outside crews assisted, equipment was dispatched, and members of the cooperative who were without power hunkered down and made the best of a difficult situation, knowing their cooperative was working day and night to restore the power. Through it all, electric co-op leaders constantly communicated with their members via social media and the press, updating the situation no matter how painful the news. On March 10, after 14 days of outages, Lane Electric announced its restoration was complete. The co-op thanked the 10 electric utilities that sent crews, along with other contractors who assisted during the effort. At press time, Douglas Electric continued to make progress in some of its most inaccessible areas. The American Red Cross shelter at Elkton High School had been serving dinner to 100 people each night, but was expected to close sooner than expected because many who were visiting it for services had their power restored.